Horta is the capital and largest municipality of Faial Island in the Azores. The municipality has a population of 15,224, its density is 88/km² and it has an area of 173.1 km². The city itself has a population of 4,459. 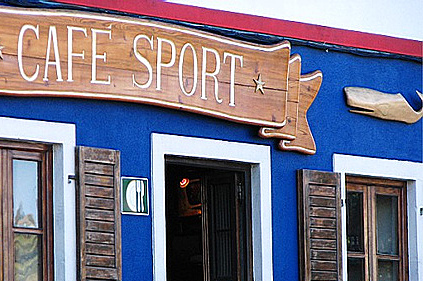 Many consider Horta the liveliest and most eye-catching in all of the Azores. Horta not only enamors visitors by its own right, but it also serves as a useful base for tourists looking to explore the various other natural attractions of Faial Island. The history of Horta begins with Josse Van Huerter, who was the first to settle on the site and build in the Porto Pim area. The first years of Horta were peaceful and the village achieved town status by the end of the 15th century. But Horta experienced several upheavals in the 16th and 17th centuries. The Spaniards took over the town in 1583, not too long after conquering Portugal. In the subsequent two decades, Horta was sacked at various times by the British, once in 1589 and another time in 1597. The latter resulted in the occupation of Horta and the burning of much of the town. In the 17th century, Horta was settled in increasing waves by Jesuit missionaries. 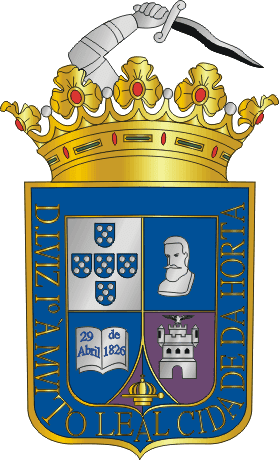 The town also played an important role in the Portuguese political conflicts of the 19th century between the Liberals and the Absolutists, and in recognition of this Horta was elevated to city status in 1833. 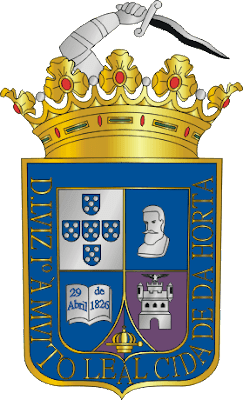 The remainder of the 1800s saw Horta develop a flourishing whale hunting industry and in the 20th century, the city became an important telegraphic communication center, landing spot for early transatlantic flights, and strategic port for naval ships and fleets during both world wars. Horta has a number of attractions. 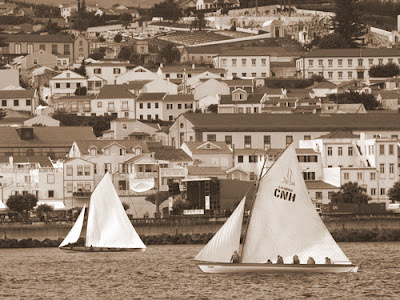 The Horta Marina is a must-see for visitors of Faial. Built in 1876, the marina is situated in the beautiful city of Horta. Many yachtists flock here from all over the world each year before crossing the Atlantic. The marina sea walls and floors are marked by paintings left by ocean travelers from years past based on the superstition that one who doesn’t leave a mark won’t reach his or her destination. The Horta Museum is worth checking out as well. It features a vast collection of fig wood handicrafts from the island’s most revered artists. Horta is also home to some elegant, old architecture like the iconic Torre do Relógio Clock Tower, the 16th century Inn called the Forte de Santa Cruz, and the chapels of Nossa Senhora do Pilar andNossa Senhora da Guia, which both feature terraces that overlook the city and the island. There are a few interesting old-style churches like the São Salvador, the Nossa Senhora das Angústias, the Nossa Senhora do Carmo, and the Church of St. Francis, which is connected to the Horta Museum and the Arte Sacra Museum. While every parish in Faial holds the Festival of the Holy Ghost, a colorful event featuring mouthwatering traditional Horta dishes, as well as the St. John’s festivals in June when music, picnics, and dancing fill the entire island, the Week of the Sea Festival is held only in Horta. 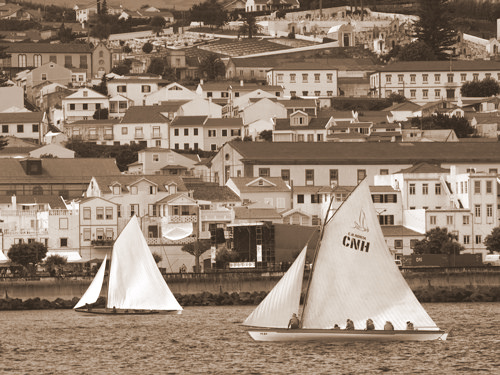 For a week in August, the town is overrun by folk music, dances, charity events, delicious food stands, arts and crafts exhibitions, regattas of water sport competitions, and dozens of sailing ships with colorful sails and flags floating along the port. Very informative post. Faial Island is a Portuguese island, Pico Island is the nearest to Faial island. Horta is a single city in the western part of the Azores. Porto Pim is one of the most beautiful beaches. You can enjoy Swimming, Various types of marine mammals and birds around the beach. You can see Cabecao Gordo mountain, Guia Hill, Horta and Scrimshaw Museum, Parque da Algoa or public park. Near Porto Pim there are hotels such as Quinta do Canario, Hotel S Jorge Garden, Quinta do Canavial.